"My favorite part of the game is obviously when my amazing fans get to rap with me," Nicki said of the app. "I think is the one thing they would never have expected for me to add into my game. The first time I played it and I recorded a rap, I felt like a kid on Christmas." Nicki's also promising to send out some pretty awesome prizes to those who score high in the game, including shout outs to those who rhyme well on the game and concert tickets!!! All of these games pretty much have the same premise: rising in Hollywood through fashion, music, and movies, being able to customize your look and home, and maybe even find fake love in the process. However, it's all really cool being able to play along with your favorite celeb, and now Nicki's fans can get in on the fun! 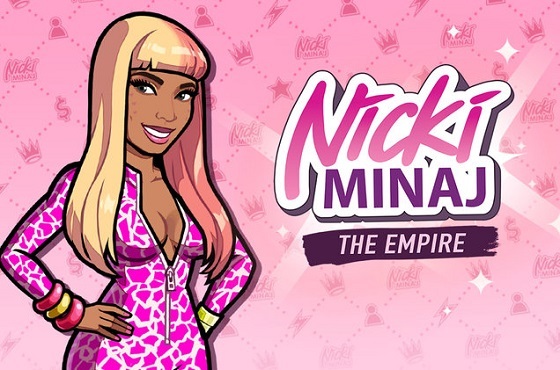 Will you be playing Nicki Minaj: The Empire?